wow dreams do come true! PCHSearch&Win I am claiming sole ownership and activate SEARCH #3, Sweepstake Loyalty entries to win $50,000.00 GWY #12778, Guaranteed for Award 4/12/19. GET IN TO WIN. I Would Love To Claim 50,000 Dollars One Day PCH. 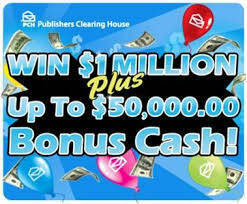 I am a VIP I hope to be the winner of the $1000000 prize and the $50,000 bonus with the PCH GWY. 18000 &12348 WOULD BE A DREAM COME TRUE FOR ME! I’m Hurrying to get in to win! claim to win $1,000,000.00 + $50,000.00 bonus. I want to claim rightful ownership of 1 million, plus 50,000 bonus superprize on 2/28/19. I want to win the $1,000,000.00 + an extra bonus of $50,000.00. It will be a miracle. I wish to submit my entrance to win $1,000,000.00 Plus,$50,000.00 Bonus. WOW$75,000.00! Giveaway No.10074; Yes I want to win! Thanks again PCH and Prize Partrol.God Bless.WOW! What! Christmas and New Year The McBride Family will have if I win on December 21st. Yes I want to win! PCH VIP ELITE 5 Loyalty Rewards, I am claiming ownership and activate SEARCH #1 Loyalty Rewards entries to win $1,000,000.00 SuperPrize, GWY #18000, 12/21/18. I want to win this prize. I AM IN IT TO WIN IT. I would like to be the winner of this mega prize of 1 million gwy # 18000issue date is December 21. I want to win $1 million plus $50,000 bonus!! I’m claiming ALL the rewards my status entitles me to! I want to claim this mega prize of 1 million gwy # 11812 VIP ELITE EXCLUSIVE REWARD due on December 21. Amount $50,000.00 from PCH Gwy,No,10424. Thank you lord for guiding me through this maze. Maybe it’s just the Anuisium that makes it seem difficult for me. A lot more difficult for the children I’m trying to help. I’m claiming all shots to win Big – by searching from EACH of the BUTTONS below before the 10/30, 11:59 PM, ET entry deadline expires! PCH VIP ELITE, I am claiming ownership and active VIP ELITE, SEARCH #1 to win $1,000,000.00 SuperPrize, GWY #18000, plus $50,000.00 cash bonus prize, GWY #11002. I want to win this prize. Win $1,000,000.00!Gwy,No,18000 Plus $50,000.00 from PCH Gwy,No,11002. you show me so many sweepstakes and give away and make me really want to win so bad with some of the millions you are giving away. im in itvto win it big $1,000,000.00 and $50,000.00 great give away. Yes I am entering again to win PRIZE Day Prize Up To $10,000.00! Thanks again PCH and Prize Partrol. God Bless. Yes I would love to win the billion dollar super price and the 50,000.00 cash price it would be a dream come true for me and my family. Yes it’s me entering again to win $1Million! VIP Exclusive.Yes I want to win!Yes I keep repeating myself because I want to win on October 26th. Thanks again PCH and Prize Partrol.God Bless. Yes I want to win $1Million!VIP Exclusive.Thanks again PCH and Prize Partrol.God Bless. Yes I want to win Giveaway No.10424; $50,000.00 VIP Elite Exclusive Prize Amount! Then enter me in to win $1,000,000.00 SuperPrize Plus $50,000.00 Bonus! Thanks again PCH and Prize Partrol. God Bless. I would love to win the $1000000 cash Pride and the 50,000 bonus prize it will be a dream come true for me and my family. I’m claiming my VIP Elite Reward! I’m Searching Now For My Chance To Win! I’m Hurrying! I’m searching from each button to get in to win by 11:59 PM, ET entry deadline! up to $50,000.00 BONUS with GIVEAWAY 11000 . I would love to win $50,000.00 Cash from PCH. Please enter my 4X Entires To Win A $1,000,000.00 VIP Elite Exclusive Prize! I am claiming the win of 1 million gwy # 18000, plus a 50,000 cash bonus gwy # 11812 on October 26. I want to win these big prizes of 1 million plus 50,000 cash bonus gwy that will be issuing on October 26. I have so many things to do with the big prizes such as given money for the poor, given to my church, helping my family and people that God alow me to give. PCH Around the World, I am claiming ownership and active SEARCH 2, Around the World entries to win $1,000,000.00 SuperPrize, 10/26/18 GWY #18000. I want to win this prize. Completed by 11:59PM, ET entry deadline. Search # 3 of 6 to win all 6 prizes. Entering my entry to win $1,000,000.00 Thanks! Yes l am claiming my 5X Entries to Win $1,000,000.00! WOW!Thanks again Prize Partrol. God Bless. Yes I want to win! Yes I am entering again to win for the 7th. time to win $40,000.00 Cash Payout!and also enter me in to win $1,000,000.00 SuperPrize Plus $50,000.00 Bonus! Thanks again PCH and Prize Partrol. God Bless. Yes I am repeating myself I want to win $40,000.00 Cash Payout! Thanks again PCH and Prize Partrol. God Bless. VIP ELITE EXCLUSIVE PRIZE AMOUNT! I will accept and enjoy these special opportunities to win by searching now. Thank you for letting me be a VIP Elite member. I’m enjoying it! Clint Henderson October 2 2018 i claim entry for search 5 to win vip exclusive 50,000 prize. Yes I want to win $50,000.00 Cash! 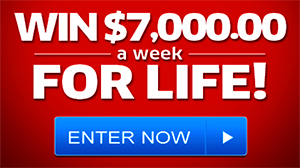 Then enter me in to win $1,000,000.00 SuperPrize; Plus $50,000.00 Bonus. Thanks again PCH and Prize Partrol. God Bless. PCH VIP ELITE REWARD, I am claiming ownership and active SEARCH 1 though SEARCH 5 VIP Elite Exclusive entries to win $50,000.00 prize amount, 10/26/18 GWY #10424, with 5× entries. I want to win this prize. Yes, I’m searching from each button by 11:59 PM, ET tonight. I want to claim 2x entries to win 3,000,000 for a home makeover VIP ELITE on October 26.